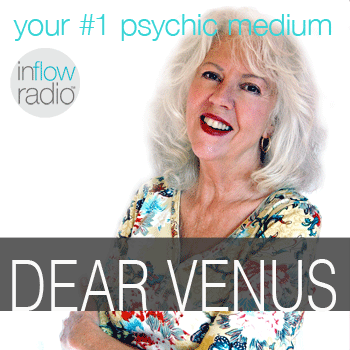 Dear Venus Podcast - The Best Psychic Medium in California! “Everything is always okay,” I promise you! My free audio mojo will help you feel calm and positive – no matter what is going on in your life! 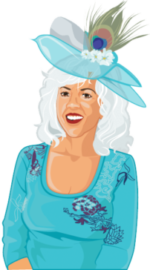 Enter your details and you'll also receive my Juicy News email and you'll be entered into the drawing for a Free Phone Reading with me. Venus Andrecht has the ability to toss energies in a unique and interesting way! She's also a medium and a clarifying counselor: She can see your life and help clarify and put things in order and perspective. As a medium, she speaks with the dead, and as a telepath and empath (and all the “clairs"), she reads the minds of the living — which is why she gets a lot of calls about people's love lives: "What is he/she thinking about me!?" People often say they can feel the energy that rushes through Venus into them. Clients and callers to the show commonly tell her things change for the better in various ways after the "energy toss." Venus also uses energy to find and remove problems you may have inherited from your ancestors. • "Why do I have this recurring situation or theme in my life?" • "Why did my boyfriend suddenly disappear?" • "Can you stop my boss from bullying me?" • "I'm in love with a married man, what are his plans for me?" • and many other situations and puzzles. Venus works with love, career, phobias, fears, obsessions, living and "dead" people ... in other words, just about everything. She also uses good energy "mojos" to help change difficult problems and enhance happiness. She's been doing readings for 40+ years. Last, Venus is a painter who creates "Good Energy Art" that people keep in their homes to bring good luck and fortune. To see her work, visit artmojos.com. 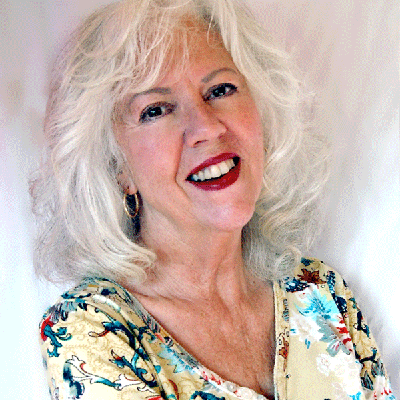 To learn more about Venus or book a private readings with her, please visit her website www.GodIsAlwaysHappy.com.